Information Processing Usage Profile: Finance, IT, Organization Services, Tax Assessor, Courts, Development Services, some Community Services -- Many local government departments require significant information processing and information management that is process-oriented rather than collaborative (see above). This work can be focused on the operation of the government organization itself, such as finance, IT, legal, and similar services. Also, this work can enable or support governmental operations and services, such as the information processing work in IT, the planning department, health services, courts, and similar functions. These personnel will be working both with structured information collected from the governmental software applications (health statistics, court records, property records, tax records, network monitoring, etc.) and with less structured information processed using general-purpose office software applications such as spreadsheets or text documents. These roles mostly involve desk-based work that can be done in city offices or from remote work locations. The default communications tools for information processing roles are email and the desk telephone. UC enhances these tools in several important ways, such as instant messaging (IM) for quick communications or status checks; presence functions to assist when reaching out to contacts for clarifications, support, advice or approvals; click to call or IM from the government directory or email contacts; softphones integrated into government records for easy outreach to citizens, suppliers, or other agencies; and unified messaging so that voice messages are part of the email desktop view. All these functions are available in essentially any current IP PBX platform. They’re also available in team collaboration applications, though the teams functions aren’t demanded in these information processing roles. Production Usage Profile: Most Departments - Public Safety, Community Services -- Here is where most of the work of local government gets done -- in the production and delivery of the services of government. First responders, health and social services, libraries, parks, arenas, utilities, infrastructure, and much more are all based on the process of service delivery. These roles follow specific guidelines and rules. Sometimes these are set by laws or ordinances. Sometimes they’re best practices for optimum safety or protection of citizens, but always producing services. One category is the specialized communications of first responders; this group almost always has specialized communication on purpose-built networks and often with specific devices. None of the UC applications have relevance for this group, with the possible exception that in some cases local governments have made connections between the first responder networks and the IM and UC networks so that command centers can monitor and interact with the field personnel more effectively. The second category is the linkage of communications to the software applications that the production personnel are using, whether that’s software for libraries, public records, health care, social services, or any of the many other functions. In some cases, this will be done on a mobile device from a specific app or Web page. In other cases, this will happen via a desktop or tablet app. The important function in each of these categories is to integrate communications into production applications so as to minimize effort, reduce errors, and be able to log the activity for proof and review of the service production. Administration and Management Usage Profile: Elected Officials, Functional Leadership, and Staff -- These last two usage profiles may be the least common for local governments. Also, note that the management usage profile may also be part of the collaboration and the field usage profiles. Management and administration have some complex and well-developed communications styles, including shared-line appearances, coverage groups, park/pickup functions, and similar features that usually require a multiline desk phone. 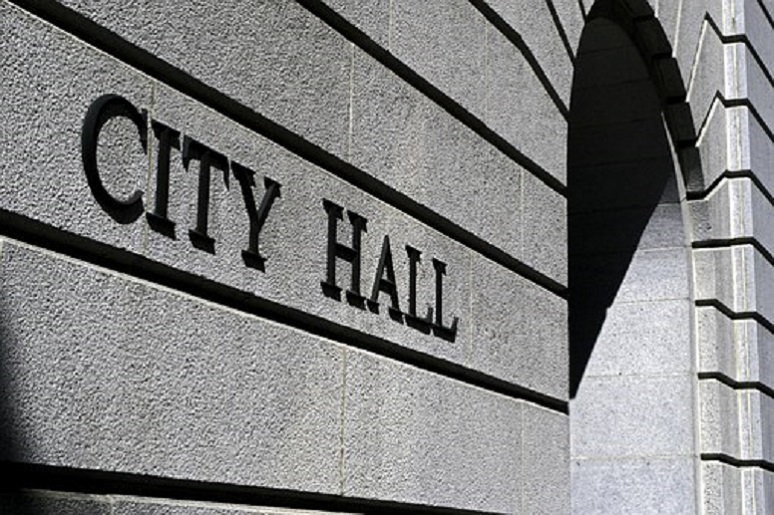 A few local governments have fully embraced the UC softphone approach, but most still require the traditional communications, supplemented by linkages to the leadership’s mobile devices. However, this isn’t a reason to keep the PBX or IP PBX for the entire local government. That traditional communications platform can be downsized or can be replaced by an advanced cloud PBX service. Foundational Usage Profile: All Departments and Roles -- Finally, we come to this last usage profile, which addresses the common communications tools (see previous post, Vertical Industry Communications: Exploring Foundational Services). The point is that users from all usage profiles will need access to these foundational communication functions, whether for meetings, training, or back-office communications when they aren’t in the field or when the communications functions of their role-based usage profiles don’t include these foundational communications tools. It’s much better to think of these as a foundational set than to try to deliver these as part of every other communications service in the local government. In summary, local government comprises diverse communications requirements, but each is a subset of communications tools, not an all-in-one set of tools that complicates usage and support. Analyzing, planning, and deploying local government communications based on roles and functions within usage profiles will almost certainly optimize the experiences and the results for the employees and the citizens. Best of success, if you’re providing local government communications services -- we’ll all enjoy it! BCStrategies is an industry resource for enterprises, vendors, system integrators, and anyone interested in the growing business communications arena. A supplier of objective information on business communications, BCStrategies is supported by an alliance of leading communication industry advisors, analysts, and consultants who have worked in the various segments of the dynamic business communications market.